Finding a Job in Peru! Until 10 or 15 years ago, Peru was an absolute insider tip and travelling on a low budget even to the most famous tourist destinations the country has to offer, was easy and doable without a problem. With the increasing popularity of Peru over the past years however came a better infrastructure, more professionalism, wider choices and more people wanting to have a piece of the lucrative tourism cake. Cusco: lovely colonial city in the Andes mountains and gateway to the Inca Trail, Machu Picchu and the Sacred Valley, but also to Manu National Park or Puerto Maldonado in the Peruvian Amazon region. And even though these are the most popular, developed and accessible travel destinations in Peru elevated prices make the good old backpacking and traveling on a shoestring more difficult. So, if traveling here do your research, compare prices and don’t walk into the typical rip-off traps. While the Inca Trail and Machu Picchu is on the bucket list of nearly every Peru visitors, there are more cost-effective, but surely no less impressive alternatives. Instead of trekking the Inca Trail, that is often booked for months in advance and getting more expensive every season, you might consider hiking the Salkantay Trek or the Lares Trek, both still off the beaten tourist tracks leading to Machu Picchu and both offering impressive, authentic experiences and adventures, spectacular landscapes and breathtaking views. Nevertheless the costs for Machu Picchu remain. If you are happy with skipping the famous Inka citadel’s altogether, Machu Picchu’s “sister city” Choquequirao that is similar in structure and architecture, but undeveloped and without hordes of tourists, is a great option to still wander on the Inka’s paths. There are no busses or trains up there, so to get there a truly amazing and spectacular 2 to 5 days hiking adventure awaits visitors. Or the less known Pyramids of Tucume, built nearly 3000 years ago by the Lambayeque culture. Or even Cajamarca and the nearby San Nicolas Lagoon where you can paddle on reed boats, or the Ventanillas de Otuzco, crypts carved into volcanic rocks by the ancient inhabitants. Please be aware that travelling off the beaten track on a shoestring in Peru and visiting some of above mentioned sights mean getting back to the roots of backpacking including getting around with local busses or walking longer distances, sleeping in simple local accommodations and eating locally. This not only goes easy on your budget, but makes your trip a true adventure allowing you to get to know Peru, its beautiful people, landscapes, history and culture. It goes without saying that traveling during high season is a bad decision when you have to look after your budget. Due to the country’s three geographic regions – Pacific coast, Andean mountains and Amazonian jungle – and related diverse weather conditions defining a high season for Peru and a perfect travel time is quite a challenge. While in Cusco and the Sacred Valley for example you have excellent travel conditions and high season in the northern hemisphere summer months June to September, this is low season in Lima and the coastal area and the worst months to visit as there is winter with grey skies, high humidity and cool fog. So in general, low-budget travelers should avoid visiting Peru from mid-December to the end of January; in December the country’s two months summer vacation starts and locals travel for the holidays or family Christmas and New Year's gettogethers. Prices for flights, busses and accommodation double or triple. Best avoid the Easter week as well as this is considered as last summer week in the coastal regions, where everyone tries to catch the last sun rays. Don’t visit Peru from June to September when the conditions at Peru’s major tourist destinations are perfect. Additionally, in June Inti Raymi, a religious ceremony of the Inca Empire, is celebrated in Cuzco and the town is packed. In July winter vacation start and Peru celebrates its national holiday. Then the whole country is on the road visiting family or going on vacation. So not the right time for low-budget travelers as prices for transportation and accommodation skyrocket. From a low-budget traveler's perspective, the best time to visit Peru is from after Easter to mid of May and from October to November. During these times hotels and hostels have lots of free beds and often offer discounts, busses and planes usually aren’t full and ticket prices are lower. Peru unfortunately doesn’t have a developed railway system for the passenger transport. So, except the train to Machu Picchu, the spectacular, but expensive train journey from Puno to Cusco and the picturesque train ride from Lima to the highest railway station in the Americas and further on to Huancayo, the only options of getting around Peru are by long distance or local busses and by plane. In Peru distances between sights are far making flying an easy, fast and safe option, but the expenses for tickets add up quickly straining your budget. This actually only leaves the option of traveling like the locals do: long distance busses for destinations farther away and local buses for shorter trips. But be aware that the journey on a bus in Peru can be long and tiring. Where possible use the top-range companies which you can easily afford despite being on a budget. The buses on the top-end are technically safe, the drivers are more likely to drive responsible and the seats are comfortable enough to get a few hours' sleep. While overnight trips save you accommodation expenses and otherwise wasted daylight hours, safety can be an issue. It's not uncommon in Peru that on certain routes overnight buses are held up and robbed. So sometimes traveling by day might be the wiser decision. To go easy on your budget plan your trip and tours on your own. In most cases there is no need for expensive tour companies or tour operators. A lot of historic sites and natural attractions in Peru can easily be visited without them. If you use local, cheap minibuses that connect even the smallest villages and hire a guide on the spot, you can save quite a bit of money and as an extra bonus really get to know Peru and its lovely people. Taxis in the bigger cities are really cheap and affordable for low-budget travelers as well, but costs for the rides add up quickly. So, travelers thinking twice before spending their money can get around cities in so called micros or combis as the locals do. In Lima there is additionally the Metropolitano bus and the Tren Electrico, the city’s metro that is available on certain routes, but much more organized and efficient than the normal public transportation. Peru doesn't have a camping culture or a network of campgrounds around the country. Out of necessity you find a few camping sites along mountain trails such as the Inka trail or Santa Cruz trail. Apart from that a hostel or hotel here and there might offer camping as an option with or without the amenities you expect from a campsite. While at some of Peru's beaches or in rural areas there are lovely spots perfect for wild camping, safety can be an issue. Don't put yourself in danger and make an easy target for thieves. Hostels and low-budget hotels however are plenty in Peru. Be aware that hostels mainly cater for international backpackers and therefore might not always be the cheapest option. Especially when traveling with a partner or friends, a double, triple or quadruple room in one of the numerous affordable hotels or guesthouses including more or less nice amenities and sometimes breakfast might work out the same as the necessary number of beds in a dorm. And when showing up at a hotel or hostel without a reservation ask for a discounted price for the night. You might get lucky and can save another few bugs. Another way of keeping your accommodation costs down is using one of the few recommended homestay networks or hospitality exchange networks that have found their way to Peru as well. And one last tip: once in a while you can find very attractive hotel offers with enormous discounts on the Peruvian Groupon website. Staying nourished and hydrated during a travel on a shoestring is often quite a burden on the budget. You can save costs in many areas, but surely not where your health is concerned. So please, don’t drink tap water (buy bottled water or filter your water) and don’t eat at dirty and unhygienic places. While you can waste easily a whole days budget just for a lunch at one fancy restaurant, there are as well countless places everywhere in Peru that offer delicious meals throughout the day for only a few Dollars. If breakfast is included in the accommodation price, get out of bed in time and have it. Otherwise the next bakery or shop selling inexpensive buns or other breakfast goodies isn't far away. At lunchtime, small sit down restaurants and “hole in the wall” places, but also food stalls at the local markets offer inexpensive, great and generous menus which often include an appetizer, a main course, a drink and sometimes even dessert. If you are unsure which one to pick, choose the crowded ones where the locals enjoy their meal. If you just need a snack, check out the local street vendors or the next sangucheria (sandwich shop). The best and cheapest option in Peru to buy fresh fruits and veggies, but also meat and groceries isn't the supermarket, but the local market. For the ones that can't live without sweets, don't buy the expensive imported ones you get at home as well. Go for the local varieties. A night out in Peru can as well blow your budget. Not only are alcoholic beverages quite expensive, but it's not uncommon that your new local friends or your latest pick-up "invite" you to a bar just to expect that you as the rich foreigner pay the bill at the end of the evening. So be careful. Putting a price tag on the costs of traveling in Peru on a budget isn’t an easy task. Even among backpackers expenses vary heavily; while the one thinks twice before spending one dime, rather walks 5 km than taking a bus and rarely spends anything on tours, the other is more than happy to blow some cash on a taxi, book an excursion and have a night out. So for the average low-cost traveler calculating with daily expenses of around US$ 35 to 40 might be a good starting point. This includes basic to moderate accommodation, good local food and drinks, some decently priced sights, tours or excursions. As soon as you consider hanging around Peru’s top spots, visiting Machu Picchu, cruising on the Amazon or heading off to a jungle lodge, booking expensive tours, flying everywhere or dining in a fancy restaurant, your daily budget will rise significantly. So do your research, compare prices and plan your trip wisely to establish how much money you will need for your Peru trip. All efforts watching expenditures and saving wherever possible are of course absolutely worthless, if low-budget travelers don’t look after their safety and security. Being robbed or ripped-off or even ending with some faked bills is something that sets back every traveler, but might be the end for the ones traveling on a budget. Therefore, we refer here to our extensive series “Travel Tips and Safety Advice for Peru” where every conceivable aspect regarding safety and security including useful travel tips and money issues are covered. Check fees for withdrawing money at an ATM abroad with your local bank before coming to Peru. Otherwise you might have a rude awakening after your trip when receiving the next bank or credit card statement. Peru hasn't got a tipping culture. Most Peruvians hardly tip. While in high-end establishments a tip is standard like in many countries worldwide, in local often family run restaurants serving lunchtime menus or at budget accommodations a tip isn't expected, but surely highly appreciated. Taxi drivers aren't tipped. On the other hand bargaining is very common in Peru. So. if you take a taxi, shop for souvenirs, book a hotel in the last minute, don't accept the first price somebody is asking. Ask for discounts, special offers or just give your best and haggle. And one last tip: Learn Spanish! Even being able to participate in a basic conversation or knowing and understanding some common phrases, not only will make your low-budget travel a lot easier and less expensive, but will open doors and hearts for you. 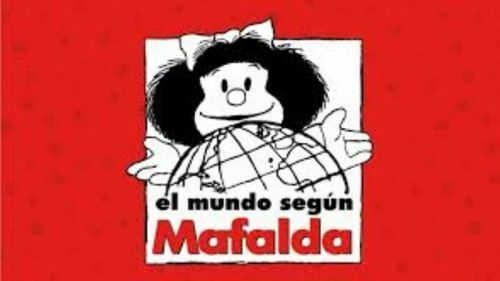 El Mundo según Mafalda (The World according to Mafalda), a graphic exhibition of the famous Argentine comic strip written and drawn by cartoonist Joaquín Salvador Lavado Saco, better known by his pen name Quino, is finally coming to Lima this March. 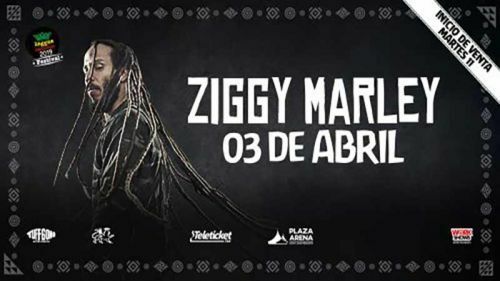 Ziggy Marley, reggae legend and son of reggae icon Bob Marley, comes to Lima for the Reggae Sessions Festival 2019. 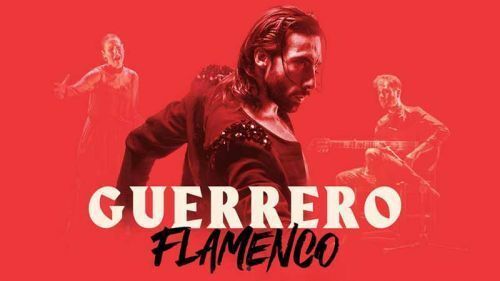 The Gran Teatro Nacional in Lima presents Eduardo Guerrero, renowned and award-winning Spanish flamenco dancer, in April 2019 with his show “Guerrero”. 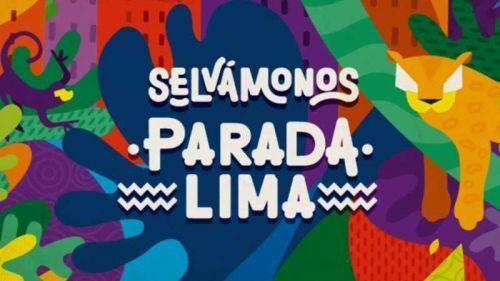 In 2019 “Selvamonos”, the iconic Peruvian festivals that combine music, art, nature and food, is back with 3 different events. After the “Electro Selvamonos” at the end of January, the Selvamonos season continues with a stop in Lima in April. 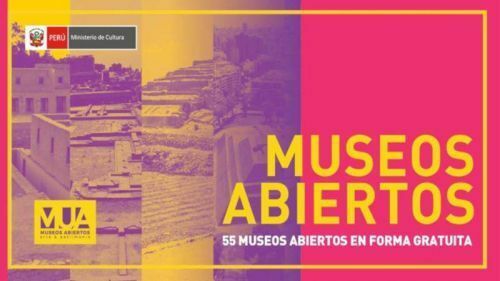 Open Museums (Museos Abiertos), an initiative of the Peruvian Ministry of Culture that allows Peruvians and foreign residents to visit more than 50 public museum, archaeological sites and historical places throughout the country free of charge, returns in 2019. 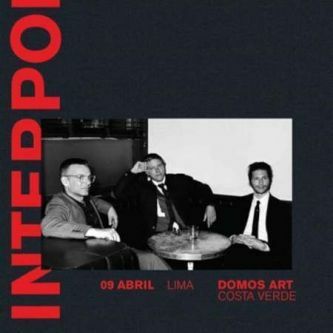 Interpol, the US American rock band from Manhattan, New York, is coming to Peru for the first time in April 2019. Paul Banks, Daniel Kessler and Sam Fogarino will present their latest album “Marauder” (August 2018) to their Peruvian fans. 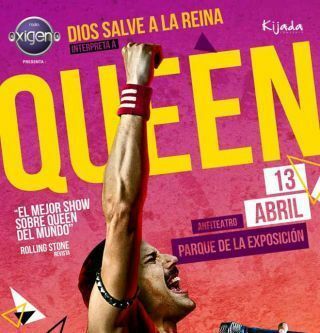 The Argentine band Dios Salve a la Reina (God Save the Queen), the best Queen tribute-band in the history and the official band to promote the biographical film about the legendary British rock band Queen “Bohemian Rhapsody”, is coming to Lima for the first time in April. 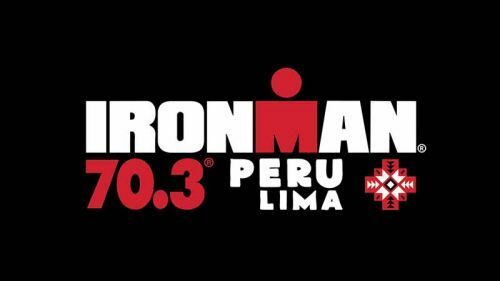 For the third time the Ironman 70.3 Peru organized by the World Triathlon Corporation (WTC) takes place at Lima’s Costa Verde mid-April 2019. 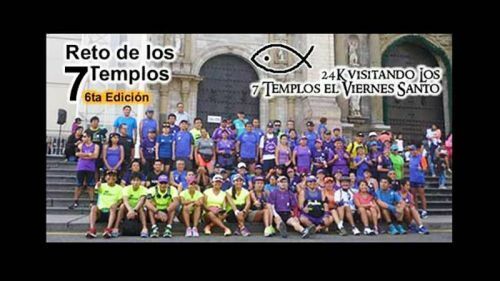 On Good Friday 2019 the “Reto de los 7 Templos”, a different approach to the Roman Catholic tradition of the 7 Churches Visitation on Holy Thursday, returns to Lima, this year already in its 6th edition. 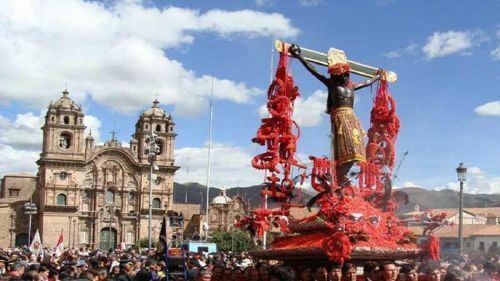 Around the globe the celebration of Easter, so the commemoration of Jesus’s crucifixion, burial and resurrection from the dead, is the most important festivity in the yearly calendar for Christians; Peru, where over 80% of the population is catholic is no exception. 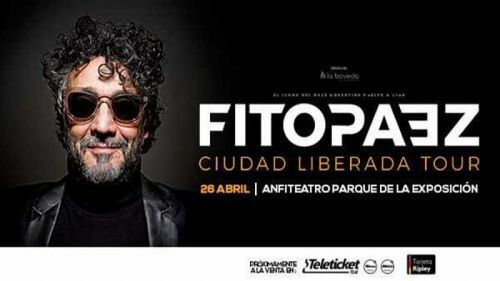 Fito Páez, popular Argentine rock and roll pianist, lyricist, singer-songwriter and film director, visits Lima in April as part of his “Ciudad Liberada Tour”. Celebrated to honor the Virgin of Candelaria, the patron saint of the city of Puno, the Festival de la Candelaria or Carnival of Puno is a huge event merging Catholic traditions brought to Peru by the Spanish conquerors and age-old Andean customs, rites and symbols. 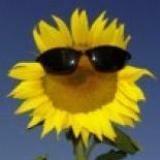 More videos & clips in our Multimedia Section.